CONGRATS TO JEN FRAME WHO WON THIS GIVEAWAY! Our carpet is 9 years old and definitely shows its wear. I had rented the Rug Doctor carpet cleaners from my local grocery store several times and it had never done much, if any good. I gave up hope a few years ago of my carpets ever looking new again and dreamed of the day when we could replace them with a carpet that hides heavy traffic and stains a little bit better. When EcoFresh Carpet Care offered to clean my carpets I decided it was about time I clean them anyway, but explained when they got here I knew my carpets were beyond help and although they may be able to make them look a little better, there was really nothing anyone could do about them. I WAS WRONG. Check out the difference - I took this as they were doing my hallway. Obviously the left side is the side they had cleaned so far and the right is what they hadn't got to yet. I seriously cannot get over how much of a difference it made. My carpets look new again. You can't see the dark spots where there is heavy traffic. You can't see an embarrassing line of dirt and wear around the coffee table anymore. AMAZING. If you are looking for Utah carpet cleaning, I definitely recommend them. The service was incredible too. They scheduled a time with me and were exactly on time. They wore booties over their shoes while in my house and the people who came to work on it were very friendly and polite. I am now a customer for life. EcoFresh would like to give $100 worth of free cleaning to 1 lucky winner! To enter, just leave a comment telling me what you would use your $100 to clean. - Hit the Google+ button on the top right corner of their website. This giveaway will end at 11:59 PM (Mountain Daylight Time) on July 17, 2013. I would get my living room, hallway and stairs cleaned! With two-year-old twins I NEED this. I would get my front room, hallway and the girls bedroom. I would have them clean the high traffic areas: entry, halls, and family room. Those pics are amazing! 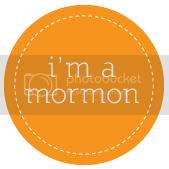 I like Utah County Mom on Pinterest. Follow UCM on twitter. David. I would love to have them clean the carpets on my stairs and family room! I liked EcoFresh's facebook page. I liked Utah County Mom's facebook page. I am following Utah County Mom on twitter. 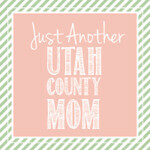 I am following Utah County Mom on Pinterest. I subscribed to Utah County Mom via e-mail. I am following Utah County Mom on facebook. Oh you know, I would just clean the places on my carpet where Jack has pooped or puked. No big deal. I want to win! I would use it because I have three inside pets! I'd use the $100 to clean our bedroom carpets. I highly doubt they've ever been cleaned before. I like EcoFresh Carpet Care on facebook. Our rug and hallway could definitely use a cleaning! I follow Utah County Mom on Pinterest. I would clean my two bedrooms and hallway! My carpet is in dire need of cleaning! I would clean my living room, dining room and stairs that's where my kids have thoroughly destroyed my carpets with all the spills they make. I like ecofresh on Facebook. We are moving into a house that has had dogs so I would use this to clean the carpet in my new house! I have a daughter that is allergic to dogs so we need to clean them good! I like ecofresh on face book. Same as you, my sister has also rented Rug Doctor carpet cleaners. She always becomes frustrated like you. Then I recommended EcoFresh Carpet Care and Keith Jones carpet cleaning service to her. Now she is thoroughly satisfied with both services.